With the release of design based applications like Fireworks CS4 Beta from Adobe, it has again further blurred the lines between the UI professions. Although there are other tools that can provide similar more detailed functionality that the new version of Fireworks CS4 does such as Microsoft VISIO and Omnigraffle, no other package wraps most the most common RIA Development processes in one package. Fireworks has stepped up from the shadows and has reinvented itself as a somewhat dedicated RIA Development tool. UI experts can create interactive step throughs for clients, UI wireframes, create custom components, and even export the UI Designs as MXML(flex markup) or XAML(Silverlight markup). I think Adobes decision to add these kinds of attributes to Fireworks was a great one. I always wondered what would happen to Fireworks after the merge, as it was often neglected in favor of the other Image editing tool owned by Adobe… what was the name of that one again? UX – User Experience design – They primarily look after the interaction model of the application working with concepts such as wireframes and application storyboards. UI Design – They are responsible for the look and feel of the application. UI Development – They are responsible for the actual coding and software development. In small practices more often than not, a single developer is responsible for all aspects of an Application, UX, UI Design and all development both client and server. In these cases the Applications are normally built from the database up. By that I mean the backend services are written and test harnesses/wireframes created to start bringing the application together. 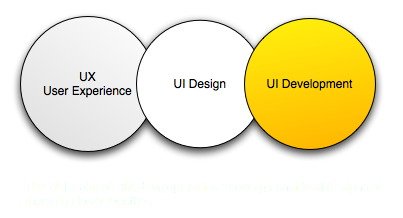 However I can see the trend going forward in RIA development lending itself to design based/user centered development where the UI drives the design cycle of the application no matter what size the practice. And by allowing a number of client side design tools to publish working code emphasises that. I would be interested to know how will this affect current software development cycles for teams and individuals. For those that do have resources such as usability experts how will their roles be affected? will they need retraining in current toolsets? Will graphic designers start writing and publishing MXML and XAML code? The crossover is inevitable from UX, UI Design and UI Developer. The switch between having a UI Designer hat on and a UI Developer hat on is literally a click away. More information about Fireworks CS4 Beta can be found here. 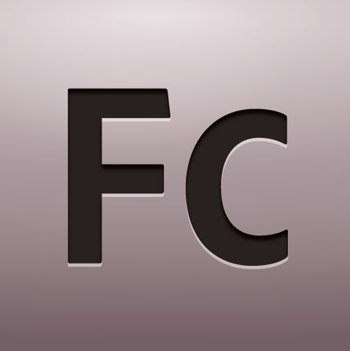 If you were wondering why the Flex Component Toolkit for Adobe Flash CS3 isn’t where the documentation says it is. You’re eyes aren’t deceiving you. Previously it was located in the SDK_install_dir\frameworks\flash-integration. However for the final release of the FLEX 3 SDK they removed it. It can now be found here along with the other CS3 extensions.